After years of strong scientific evidence and even stronger advocacy, this week European officials decided to make a temporary ban on three bee-harming pesticides permanent. This is very, very good news for bees in Europe. The decision reflects years of hard work by our PAN partners and many others. It also spotlights just how far behind we are in the U.S. — not only with our pollinator protection efforts, but in how we regulate pesticides overall. A few years ago, national momentum to protect honeybees and other pollinators from pesticides seemed to be building here in the U.S. A high-profile White House Pollinator Health Task Force officially recognized the importance and urgency of problem, and promised a comprehensive action plan. Not surprisingly, the effort attracted the attention of pesticide industry lobbyists, and the Task Force ended up punting any meaningful action to the states. The science on the harms neonicotinoid pesticides (aka “neonics”) cause to honey bees and other pollinators continued to mount, as did evidence that neonics provided little actual benefit to farmers. Yet states have by and large failed to step up to the plate. Pressure from pesticide manufacturers appears to have played a role here as well. Seeing a pattern here anyone? Minnesota provides a telling example. 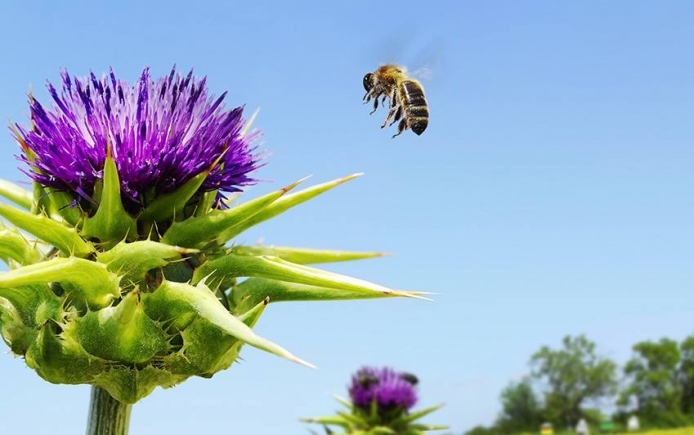 In the face of mounting scientific evidence and strong public concern about bee-harming pesticides, the state Department of Agriculture conducted a Neonic Review — and in 2016 released a strong set of recommended actions to protect pollinators in the state. Governor Dayton then signed an executive order setting the changes in motion, and establishing a “Committee on Pollinator Protection” to track implementation and recommend what else could be done. PAN and our partners in the state celebrated these groundbreaking commitments, and held up Minnesota as an example for others to follow. In last year’s legislative session, lawmakers did all they could to undermine pollinator protection measures and state pesticide rules. While PAN and our partners were able to hold the line against the most egregious rollbacks, legislators were clearly keen to weaken pollinator protections in the state — just as industry lobbyings were pressing them to do. So how is it that the entire European Union can agree to take the top three bee-harming pesticides off the market, but it’s so difficult to get even minimal protections in place here in the U.S.? While there’s certainly no simple answer to this question, I’d point to a few key facts. First, European regulators seem to actually be aware that the pesticide industry has a vested interest in keeping their products on the market. Somehow officials here in the U.S. have missed this — or don’t think it matters — and give the interests of industry “stakeholders” the same (or more) weight than those advocating for the public good. Second, scientific evidence has more influence on policy making in the EU. While it still takes advocacy to make this happen (as our PAN UK and PAN EU partners know well), the value placed on independent science stands in stark contrast to the increasingly post-truth, politicized rulemaking process here across the pond. And finally, Europe takes less of an “innocent until proven guilty” approach to pesticides. When evidence shows a product may be causing harm, it’s quickly taken off the market until manufacturers can prove otherwise, in the interest of public and/or environmental health. Hence the moratorium on neonic use that was put in place three years ago, and made permanent this week. In the U.S., a pesticide can be flagged as a “chemical of concern” and stay on the market for years — even decades — while manufactures pay their scientists to (slowly) make the case that their products are safe. Every additional season on the market means one more year of profit; incentives are strong to drag out the process as far as possible. We strongly support the efforts of our colleagues in the UK and Europe to ensure the neonics that were recently banned are not replaced by “similarly toxic alternatives.” Let’s support practices that benefit farmers, rural communities and the environment instead.